3. Responsible for teaching status data management. 1) Education in chemistry, bachelor's degree or above, high proficiency in Chinese and English speaking. 2) Bachelor’s degree or above in World-class universities and world-class disciplines or with experience of studying abroad preferred. 3. Assisting in campus construction, operation & renovation. 3. With the spirit of hard-working, strong interpersonal skills, a sense of responsibility, service awareness, and team spirit. 3.Responsible for readers' licenses affairs, book claims, leaving school procedures, etc. 5.Responsible for organizing and publishing library activities. Responsible for information literacy training. 4. Outgoing, with strong communication and coordination skills and work responsibility, with strong service awareness and teamwork awareness. 2. Responsible for development and maintenance of websites, APPs. 4.Responsible for other software development. 5.Information system development and operation and maintenance experience of large or medium-sized units is preferred. 4. Responsible for network account and security management. 6. Promote network system planning and construction. 5. Information system development and operation and maintenance experience of large or medium-sized units is preferred. 5. Strong project organization and coordination ability and work responsibility, good service awareness and teamwork awareness. 3. Complete the other tasks assigned by the leadership. 3. 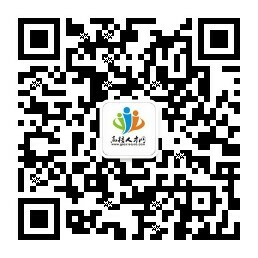 Have strong communication and coordination skills, proficiency in English communication and writing. Once employed, we will provide good salary and social security, which could be negotiable. Please submit the application materials (registration form of applicant, resume, scanned copy of the diploma and degree certificate during the postgraduate, and position & name in the email title), and send the email tohr.recruit@zju.edu.cn. We will screen the application materials (application deadline is June 20, 2018) and inform the qualified candidates to participate in the assessment.